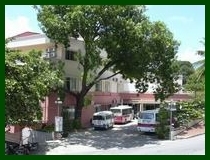 Ha Long Bay Hotel is one of the best in the area. With elegant style rooms and friendly staff, you will have an unforgettable time enjoying here. 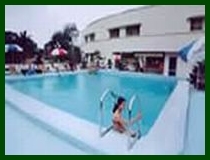 The hotel located about 100m from the sea shore and surrounded by magnificent natural landscape. The hotel offers 42 comfortable guestrooms. Each room is equipped with all of the amenities and comfort to make your stay as pleasurable as possible. Whether you are visiting for business or pleasure, the hotel sure you will find accomodations more than satisfying. At the hotel there is a spectacular architectural space with appealing scenery including a large and charming decorative garden and swimming pool. The hotel's well-trained, devoted and courtesy staff will always make your stay at the hotel the most enjoyable. Ha Long Bay Hotel with 42 suites and rooms equipped with international standard, the spacious, elegant and well - ventilated bedrooms are furnished with air - conditioners, domestic and international telephones, satellite TV sets and other up-to-date facilities. The hotel offers 7 rooms at 18 m2 with garden view. All room equipped with all comforts to ensure you a relaxation and pleasant stay. The hotel offers 22 rooms at 24 m2 with garden view. The rooms are large in size and well equipped with sanitaly fitting to ensure you a pleasant stay. The hotel offers 25 rooms at 24 m2 with sea view.All rooms are large and eqquipped with all comforts to provide you with complete relaxation for your stay pleasure. 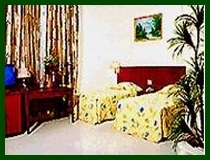 The hotel offers 2 rooms at 36 m2 with garden view. All rooms are equipped with a wide selection of modern standard amenities to ensure you a pleasant and memorable stay. The hotel offers 2 rooms at 36 m2 with sea view. All rooms are exquisitely furnished and equipped with a wide selection of modern standard amenities to ensure you a pleasant and memorable stay.